A photojournalist’s job is to capture the unique and the universal—to portray brief moments that tell individual stories, yet are instantly relatable to a wide audience. The delightful task of curating that type of Chinese photojournalism is the reason we launched Depth of Field, last spring. For this issue, we present over-protective mainland mothers who follow their children to Hong Kong, candidates campaigning for Hong Kong’s September legislative elections, Chinese tourists hunting for wild boar in the United States, and more. We are always happy to hear suggestions: if you see something published this month that you think we should include in the next column, send us an email. 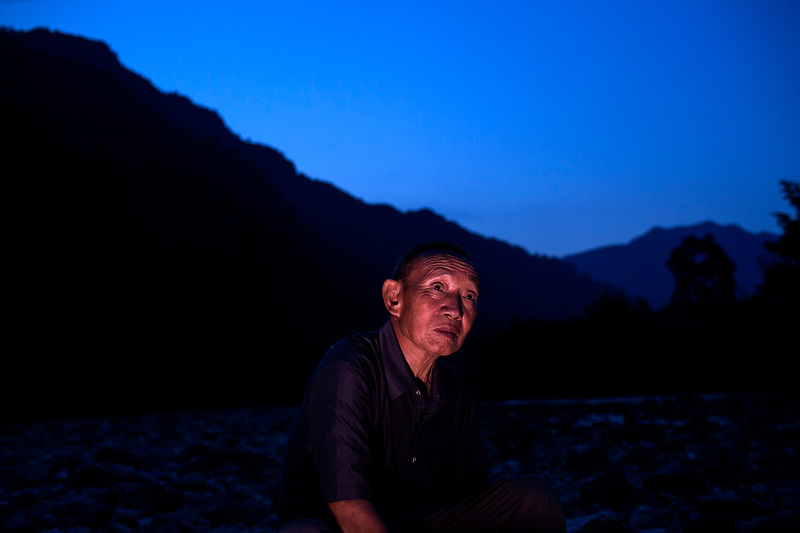 In 1965, more than 2,000 people from across China came to the town of Wensheng, in the southwestern province of Sichuan, to work at a nickel powder factory. They were part of the Third Front Movement, which called for workers to relocate to remote areas to build industries related to national defense. Since the factory went bankrupt and closed in 2003, 244 workers have been diagnosed with lung, liver, and nasal cancer: According to the National Cancer Institute, “exposure to various nickel compounds is associated with increased risks of lung cancer and nasal cancer.” Many of those workers heeded the call in 1965 to move to Wensheng and serve their country, but today struggle with affording cancer treatments on their meager pensions of roughly U.S.$300-450 per month. With roughly 300 million users, nearly one-third of the planet’s total, China has the world’s largest smoking population by far. Since Chinese pharmacist Hon Lik invented the first commercially successful e-cigarettes in 2003, tobacco companies have viewed China as the market for the device: Currently, only a small percentage of the world’s e-cigarettes are bought in China, yet the country produces roughly 90 percent of them. Freelancer Yang Wenbin focuses his camera on the marketing effort and the consumerism behind the devices’ growing popularity on the mainland. The election of 23-year-old Nathan Law, a member of the 2014 Umbrella protests who fought for a more independent Hong Kong, was one of the bigger surprises of the September elections in that semi-autonomous territory. 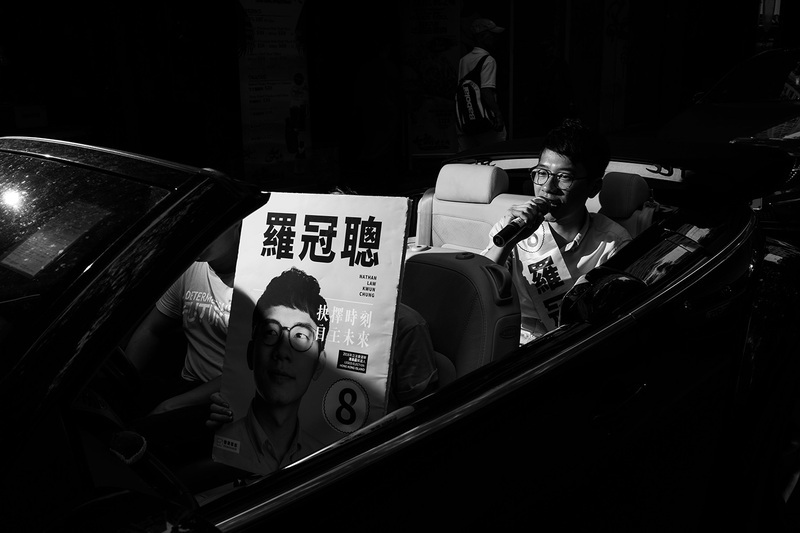 Photographer Lam Yik Fei, a staffer at Hong Kong-based The Initium, covered the election. His black and white images and use of direct flash single out the key players and moments. The strong highlights and harsh shadows suggest how politics the world over are conducted both in public and in private. As many as 3 million Chinese tourists are expected to visit the United States in 2016. Many high-end adventure tourism agencies in both countries have begun marketing hunting as a leisure sport to wealthy Chinese, offering trips in the U.S. that combine that activity with sightseeing and shopping. These trips usually take seven to 15 days and cost at least U.S.$5,000. 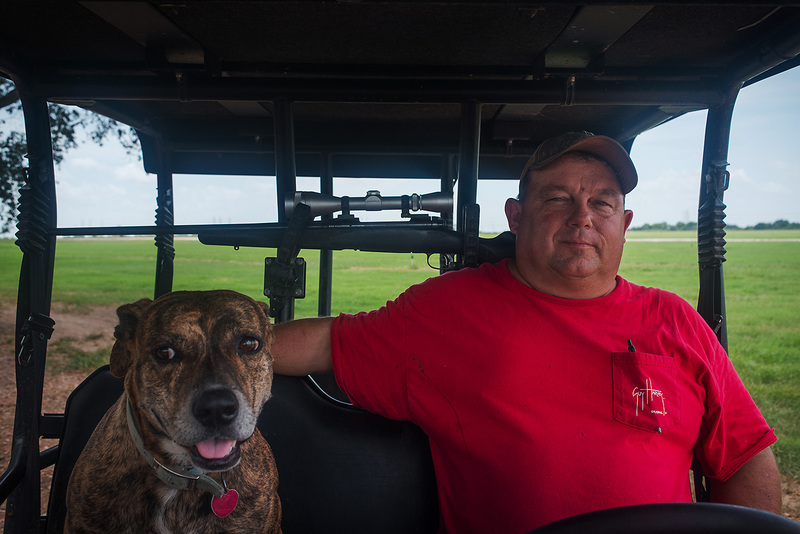 Photographer Shen Yijian followed a group of Chinese tourists to Texas, where they learned about rifles and hunted for wild boar. There is a popular ancient Chinese tale about how Mencius’ mother did not rest until she found a suitable environment in which to raise her son. Mencius, who lived from 372 to 289 B.C.E., became a great interpreter of Confucianism and one of the most respected Chinese philosophers. 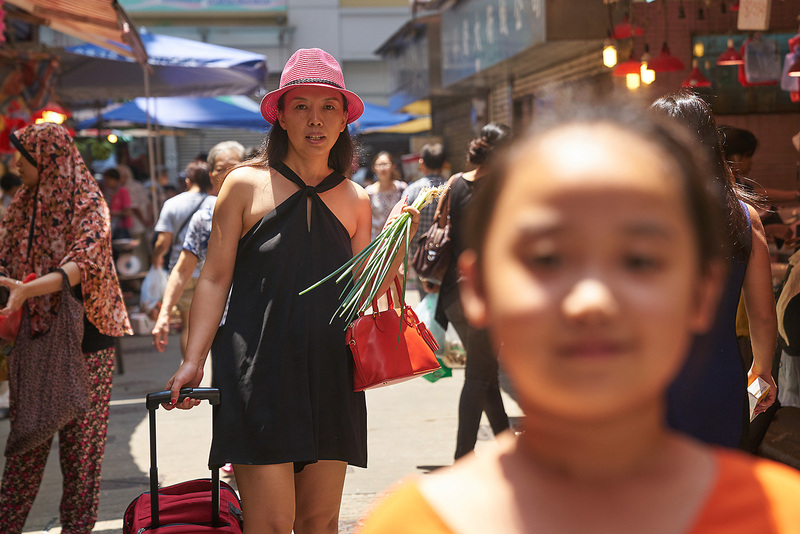 Today, a ‘Mencius Mother’ refers to mainland mothers, mostly from well-educated, middle-class families, who enroll their children in schools in Hong Kong and move there to support them. They believe that the education system in Hong Kong and the openness of the city will better prepare their children for future success. Many leave behind more comfortable living situations to move into the notoriously small apartments of Hong Kong, and many also put their professional lives on hold. Liang Yingfei photographed several parents who followed their children to Hong Kong, capturing a sense of both loneliness and togetherness, and the watchful maternal gaze that Mencius might have felt. The cross-dressing dance group Stereo is made up of nine men with varied backgrounds, including an employee of a state-owned enterprise, a professional dance instructor, and a railway security officer. Photographer Zou Biyu followed three of Stereo’s members, who go by the nicknames Peipei, Qiqi, and Lunlun, as they participated in a festival for Internet celebrities last month at the Sheraton Hotel in Jinan, the capital of Shandong province. While the group still faces prejudice, especially in smaller cities, its members have managed to attract a following, and in July 2015 they signed a contract to live-stream their performances to millions of viewers online. 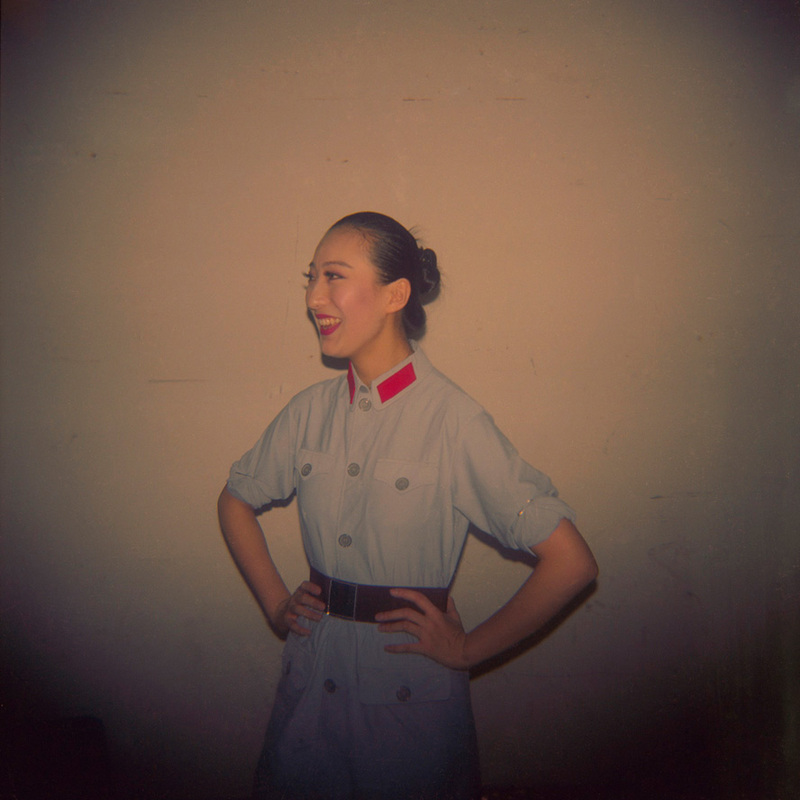 While working as a photojournalist for the daily newspaper Chongqing Morning Post in the late 2000s, Zhang Xiao would snap images of the scenes around him with the quirky, cult-classic Holga camera. These soft-focused, vignetted scenes differed from the more realistic style his paper demanded, but they capture the whimsy, nostalgia, and absurdity present in everyday life in China.